Will and Kate's World: Christmas in Mobile! We spent Christmas in Mobile. We got there the day before Christmas Eve and spent two days visiting, cooking, cleaning and getting things ready for all the festivities. Normally when we go, we are there for a reason and spend all of our time doing stuff and not visiting. It is nice to just visit with family. I have to say though, every time I go, it makes me realize just how much things and people have changed over the years with people doing their own thing and others that are not there but in heaven. 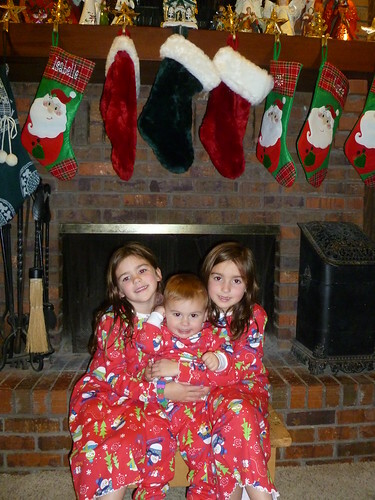 We do the things we do to make memories for our kids now, but it is always a time to remember Christmas’ past and the special memories that we have. Now that Isabelle is reading quite well, she read the Christmas story from the book of Luke at both the Fort Walton Beach and Mobile Christmas’. It was kind of cute when she was reading with her daddy on Christmas Eve and she was quoting the verses before she ever turned the page. I love seeing her understand things and know the reason we celebrate Christmas. 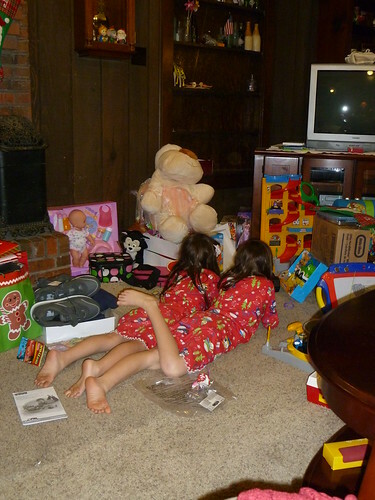 The presents are fun, the memories are wonderful, but knowing that my kids understand what Christmas is all about is the best feeling in the world. This is Christmas Eve. It took about 15 photos to get this one. Luke didn’t want to sit still. This is what the girls did most of the day. Now that school has started back, we are going to have to set some time limits. 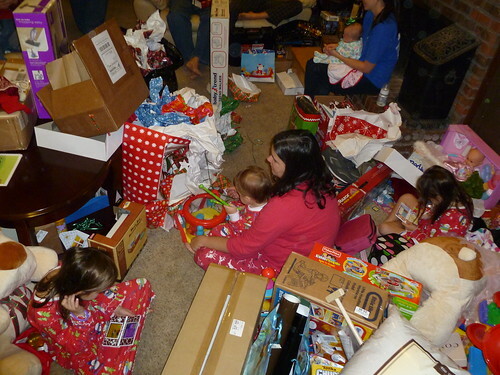 This picture is after Everyone else came over…can you find the Rushing girls in all the mess? 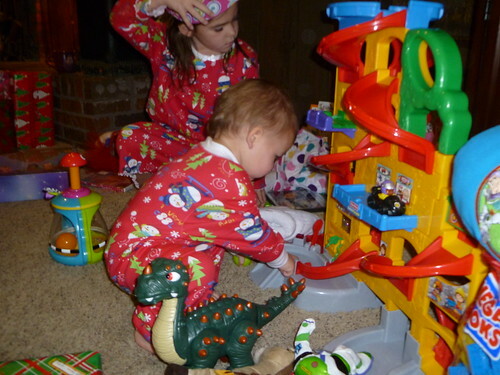 Luke liked his Stand n’ play… but he really just wanted anything that the girls had. 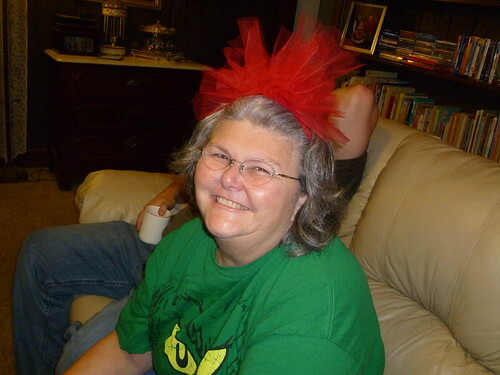 Here is my mom’s fake smile since she hates Christmas so much! I’ll let you all in on a little secret…that is just an act; she really does like Christmas. 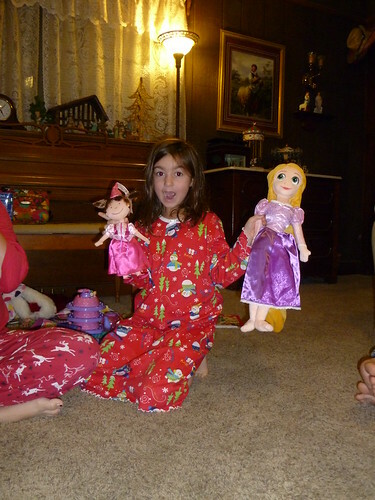 Here is Isabelle with her Tangled doll and her Pinkalicious doll. 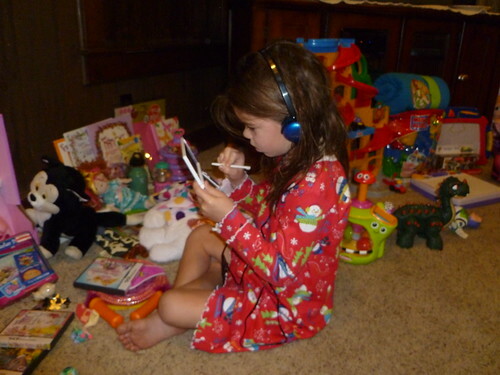 Annd didn’t put down the DS, so every picture of her from the day is just like this. 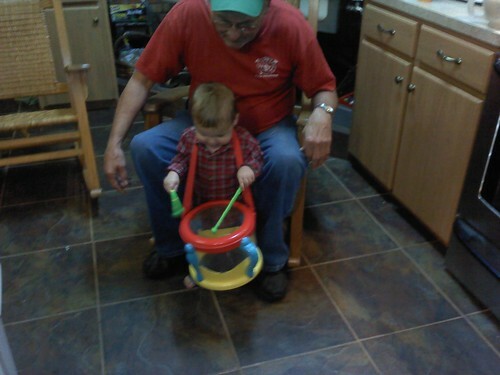 Luke’s favorite toy was his drum. He loves music, but he really just likes noise! All in all it was a great day. Sorry I don’t have more photos of other people.